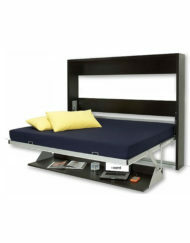 Murphy Bed Tables and Desks Space Saving furniture are a great way to add function to your home. 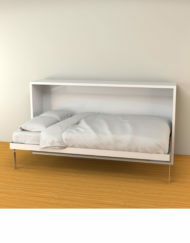 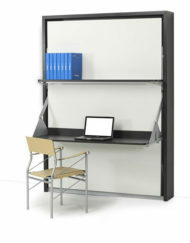 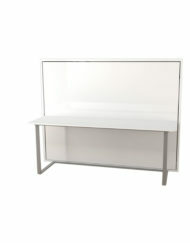 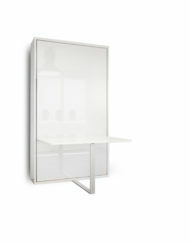 Convert your office into a guestroom with a Wall Bed desk. 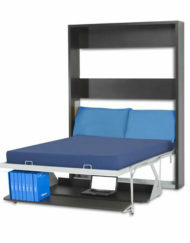 The wall bed desks lower down and the desks hideaway to be left with a comfortable bed. 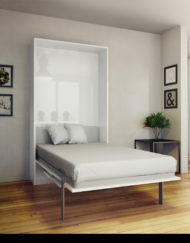 Murphy Bed tables can be great space savers in studio apartments and vacation homes where you are trying to maximize space with function. 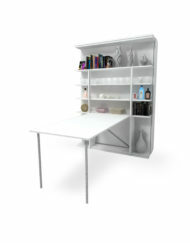 Use the Table in the daytime for meals or even as a large work desk and convert it at night if you need a bedroom. 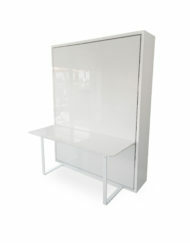 Some of our tables fold up flat and even revolve around completely to be hidden. 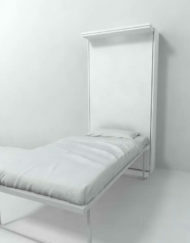 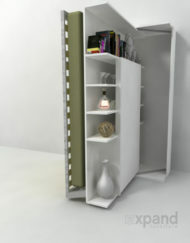 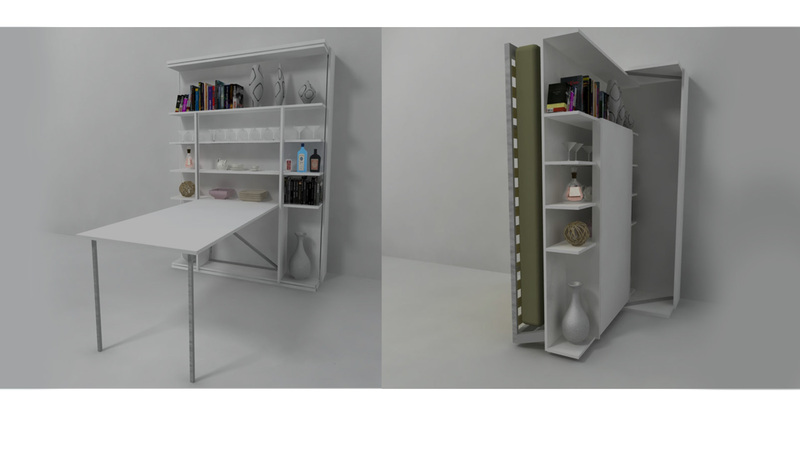 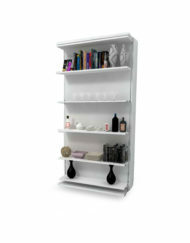 These revolving wall beds often have shelving for extra storage as well during the day time. 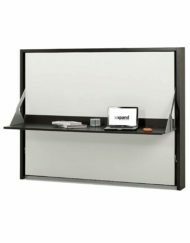 We have Murphy bed desks that are also freestanding which means you don’t need to mount any hardware to the wall, they just work on their own. 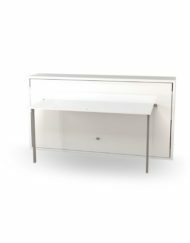 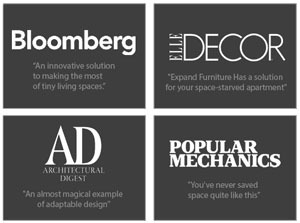 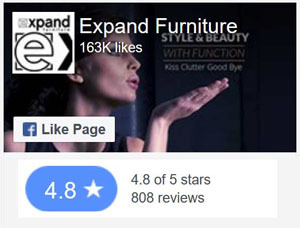 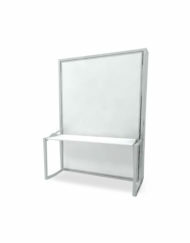 Browse our collection of Wall bed desks and wall bed tables below and if you have any special requests do contact us for custom Murphy bed desks. 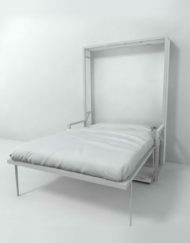 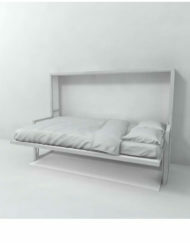 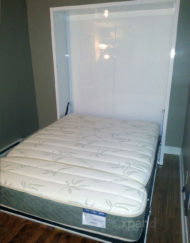 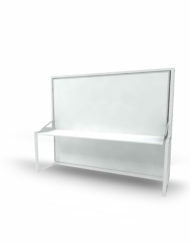 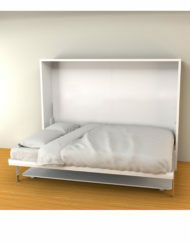 We also have a number of convertible wall bed sofas online to give you the most out of your space!